Sinco-CNC serves over 500 companies and organizations by offering custom lathe parts at affordable prices. 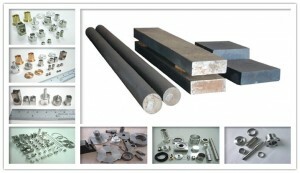 Recently, the company has introduced its custom lathe steel parts to help clients improve application performance. Sinco-CNC offers the best and most competitively priced CNC lathe products (PEEK products, aluminum products and more) in the industry. Its goal is to provide world-class customer service for its global customer base. Sinco-CNC is a registered trademark of Sinco-CNC.com. As a leading provider of CNC precision products, Sinco-CNC’s products are high quality, affordable, and customer service is a top priority. The company rejects mediocrity and imitation, and insists on providing creating and innovative products and designs for its global customers. In addition, Sinco-CNC.com has announced it will attend the CES 2014. More details will be announced the marketing department of the company.